37 Teams from all over the country will ply their trade in the U-18 I-League which is slated to kick-off on November 14 (Monday) in the Maharashtra zone. All the teams from Hero I-League, Second Division League, a few football academies and one team from Hero ISL will clash their swords to clinch the silverware. The teams from every zone will play on a home-away basis among themselves in the round robin stage and 12 teams will qualify to the National Final Round eventually. Those twelve teams will be divided into three groups and the group champions, along with the ‘Best Second Placed Team’ will qualify for the semi-final which will be followed by the final to decide the U-18 I-League 2016-17 champions. Mumbai FC will face off Kenkre Sports Club at the Cooperage Ground in the opener (November 24). 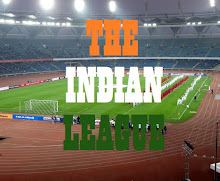 For the first time a team from Gujarat and Madhya Pradesh will participate in the league. Kahaani FC is an Ahmedabad based club while Pride Sports is based in Jabalpur, M.P.